Oklahoma Watch will host a public forum Thursday, March 15, in Oklahoma City about the challenges faced by foster children and the state’s efforts to find people willing to provide homes for them. Featured panelists will include Ed Lake, director of the Oklahoma Department of Human Services, and Jami Ledoux, director of child welfare services for the agency. The Oklahoma Watch-Out forum, which is free and open to the public, and will be held from 6 to 7 p.m. at the Oklahoma History Center, 800 Nazih Zuhdi Drive in Oklahoma City. Those interested in attending are encouraged to register online. Since 2012 Oklahoma has been under the terms of a settlement of a class-action civil rights lawsuit requiring improvements in its foster care system. That effort has coincided with an economic boom and bust, a state budget crisis, an opioid and meth epidemic, and persistent social issues. DHS recently received a positive report about its progress toward foster-program goals, but problems remain. 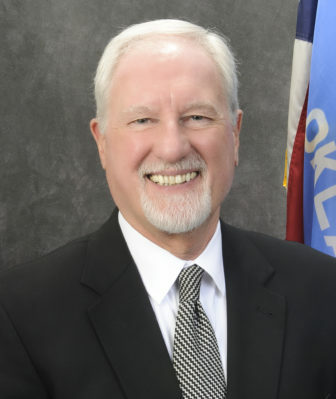 Ed Lake has served as director of the Oklahoma Department of Human Services since Nov. 1, 2012. The agency is the state’s largest, with about 6,000 employees and a $2.2 billion budget. About a million Oklahomans each year are touched daily by state and federal human services programs administered by DHS. Lake came to Oklahoma from Nashville, Tennessee, where he worked at many levels of the Tennessee Department of Human Services from 1973 to 2011, when he retired as the deputy commissioner. His term there included experience with comprehensive restructuring and change – a challenge he would face when he arrived to take over the Oklahoma department in 2012. DHS is focusing on improving client services and building support among legislators, contract providers, advisory groups, advocates and other groups. Lake earned a bachelor’s degree in social work from East Tennessee State University and a master’s degree in social work from the University of North Carolina at Chapel Hill. Jami Ledoux has served as director of DHS child welfare services since 2014. Previously, Ledoux served as deputy director of continuous quality improvement and staff development for the unit, responsible for programs such as training, quality assurance, practice model implementation, children and family services reviews, and the child welfare information system. She assisted in the development of the Pinnacle Plan and leads the reform effort. She makes use of extensive data in developing practices, policies and quality improvement. 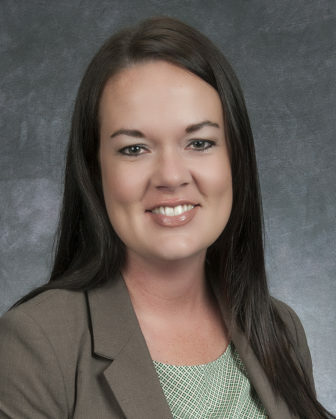 Ledoux, who has a master’s degree in social work, began her career with DHS in 2001 as a permanency planning child welfare services worker in Oklahoma County.